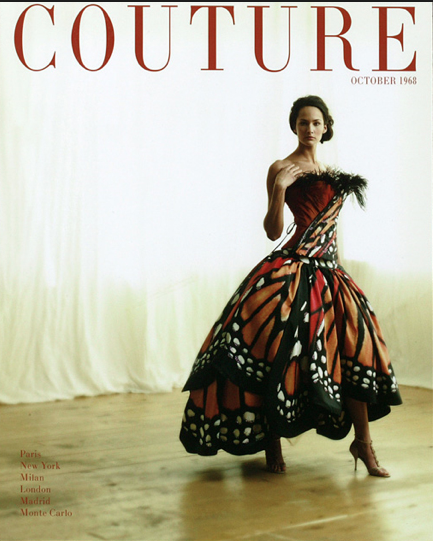 History repeats itself as we found this model draped in a butterfly printed dress on the cover of Couture magazine in 1968. 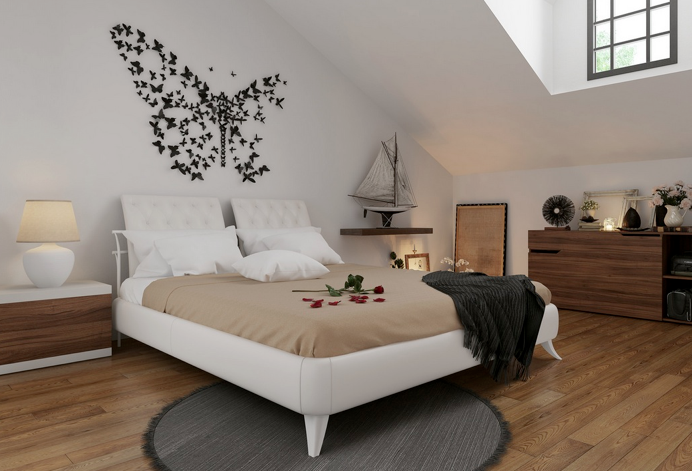 In interiors we found this light piece with butterflies strategically placed over a light bulb, and in fashion a model presented this butterfly head piece by Jean Paul Gautier during his Haute Couture Spring/Summer 2014 collection. 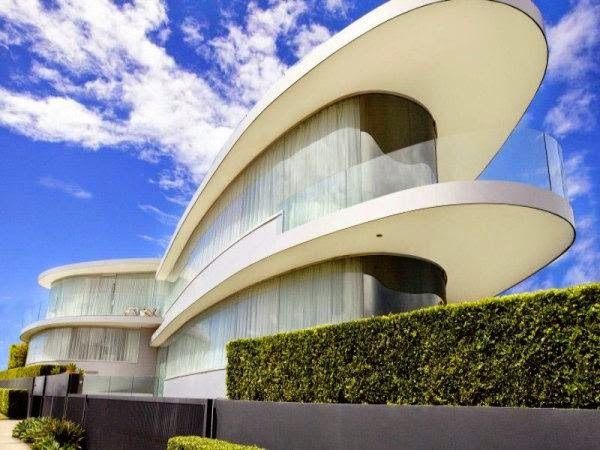 This modern house with fluttering butterfly charm was built in Sydney, Australia with eco friendly and natural materials and technology. How cool! Alexis Mabille designed her collection for Spring / Summer 2014 with a very stunning and heavenly approach using white butterflies sprinkling through the air during her presentation. 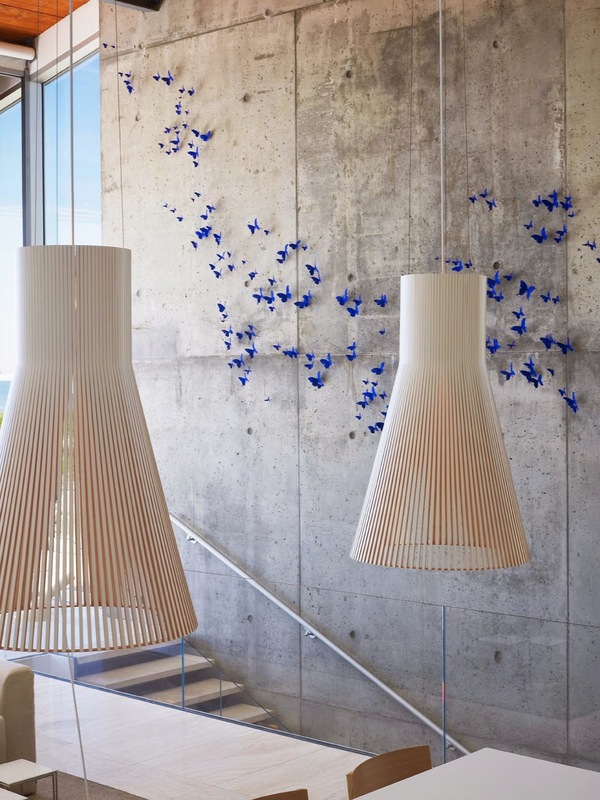 This beach house did butterflies justice making a delicate but powerful statement using bright blue butterflies sprinkled across the wall. 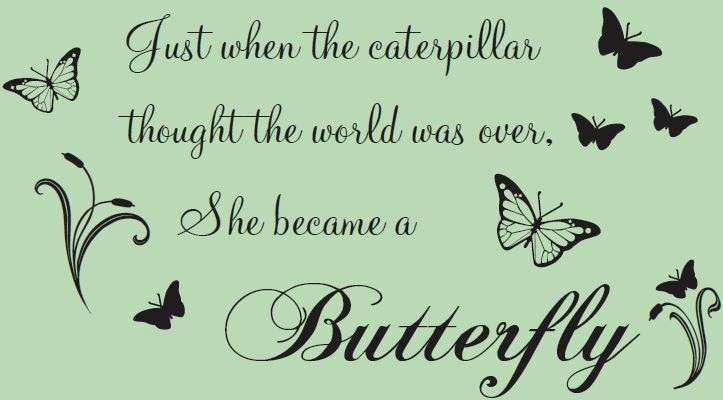 Carlos Miele chose ultra feminine butterfly prints for his collection back in Spring 2011. 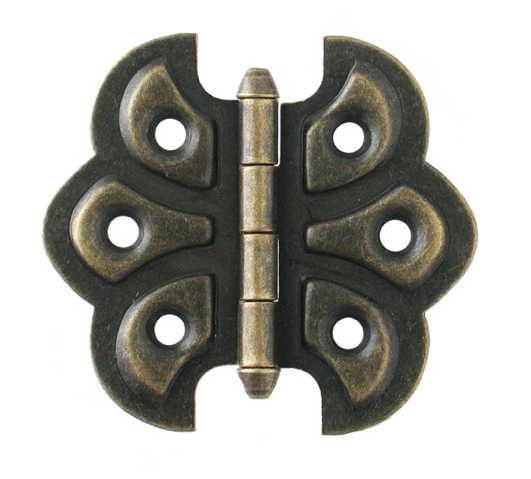 This Antique Door Hinge resembles that of a butterfly. Lady Gaga went all out as she usually does in this butterfly mask and dress. Lia Bang Song who is known for producing her one of a kind pieces for celebrities like Lady Gaga, Beyonce and top Korean actresses and singers, designed this beautiful butterfly printed gown with 3D wire-work bodic and accompanied with Butterfly glasses. 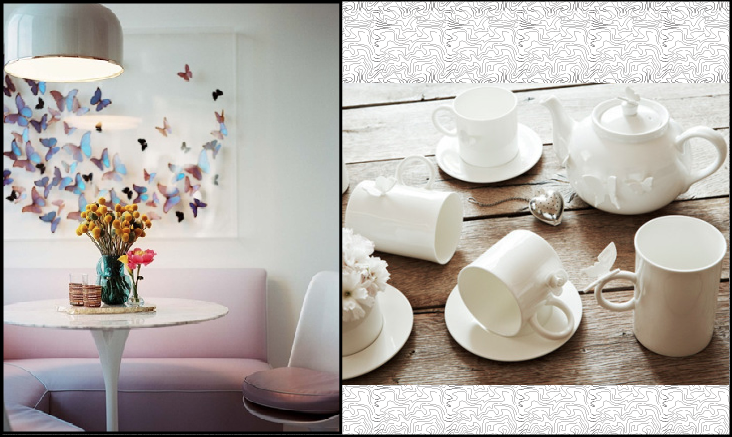 Add some artwork to your wall or buy a butterfly tea set for an easy way to make use of this butterfly trend.